Micromax Indian Smartphone manufacturers now much concentrating on the TV ads for the brand promotion on their new Economically Effective Smartphone A116 Canvas 3 after the successful reach of A110 Canvas 2. Expect it make a heavy and tough competition to their competitors like Samsung, HTC, Nokia. On a Delhi press meet Micromax revealed the reason behind the name of Canvas 3. It’s named in such a way that it will add popularity to the ‘A’ series model of Micromax product and it also is a lead to its previous version A110 Canvas 2. 5 inch HD LCD IPS capacitive touch screen offers excellent picture quality by supporting the 16.7 million colors with the screen resolution of 1280 x 720 pixels. 8 mega pixel camera with 4 X zoom makes the photo session more fun and memorable, with additional it also contains LED flashlight for the clear view of the object even in the low light. It contains a secondary VGA camera (2 Mpx) in the front too which helps in the video calling. 1.2 GH Quad Core Cortex – A7 Processor adds power to this Smartphone to finish the task much sooner along with the support of ! GB Ram. Contain internal memory of 4 GB along with the expansion slot for Memory card which supports up to 32 GB. Apart from all of this additional features this Smartphone gets breath with the Android Jelly Bean OS. Its Powered by Mediateck MT6589 chipset board which offers high efficient battery life with reduction in heat generation. It also provides high speed browsing experience and also provide high performance. The browser supports HTML5 along with Java ( MIDP Emulator). Looks very sleek and Handy. But its weight around 168 Grams which is considerably a little heavy. 2000mAh battery in the device offers up to 5 hours of talk time and 300 hours of standby time. May be A116 Canvas 3 ‘s price will be approximately at the maximum MRP level of 15,000 INR. Comparing all of its special features its really economically pricing. Micromax A116 Canvas 3 might be a best alternate for the samsung Galaxy Grand as it also contains the similar specifications as it comes with half the price but double the value. Micromax ready to place its new brand on the success of the MIcromax canvas 2 which was shipped more that 40000 pieces on the final quarter of the last year. They hardly try to occupy the place of samsung who leads the Smartphone arena. Compare to the Samsung its best in cost wise as it gets all the features of the competitor brand and also available in affordable price. Still people show interest in purchasing the canvas 2. Some of the online store still runs out of stock with the Micromax Canvas 2. All are curiously waiting for the upcoming Canvas 3 of the Micromax with lots of expectations. Hopefully it will reach the market by the month of February. Be ready to feel the efficacy of the efficient smart phone at affordable price. Micromax A110 (a.k.a. Canvas 2) is the most popular phone in Micromax and it just got a successor. 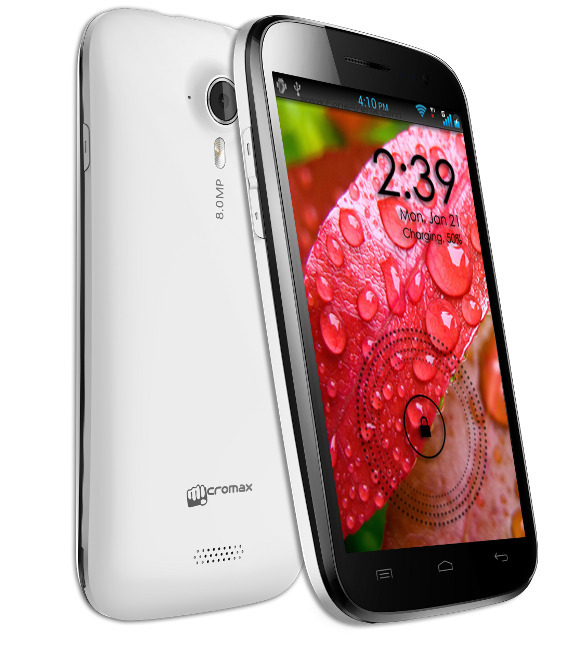 Meet the Micromax A116 Canvas HD â?? a dual-SIM Android phone with a 5 Inches 720p IPS screen and quad-core processor. The 5 Inches screen is a marked improvement over the A110 the new model has 294ppi pixel density, up from 196ppi. Is it availabe in market? Micromax successor dual sim Android phone with 5 Inch LCD HD is remarkable one giving a tough time to HTC One, Samsung Galaxy S4 new launches.